A diaphragm tank is needed to protect the engineering system from water hammer and fully ensure its quality work. After purchasing the equipment, you need to carefully consider , how to install the membrane tank so that it works without failures. The accumulator in the water supply performs several functions: it accumulates water supply, maintains the necessary pressure in the system, serves as a reserve for reducing the frequency of switching the pump on and off. Without installing a membrane tank, the life of the pump is significantly reduced. 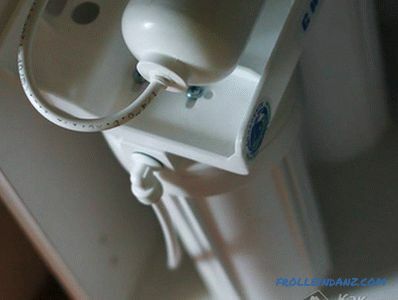 In a system provided with a hydroaccumulator, water can be drawn even when the electricity is turned off. During the first start of the pump, the water chamber of the tank is filled with water. The greater the volume of water in the tank, the smaller the volume of air and the higher the pressure. 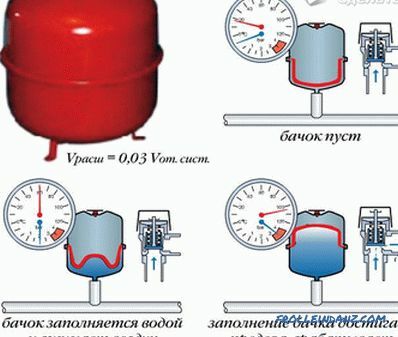 Reaching a given indicator of pressure, which is necessary to turn off the pump, it is automatically shut off. As soon as the pressure in the system drops to an acceptable level, the water supply will immediately turn on. A pressure gauge is installed on the accumulator to check the pressure. It is also necessary to adjust the required range of equipment operation. Carefully study the instructions supplied with the equipment. Carry out technical pressure calculations and compare with those indicated in the regulatory manual for operation. To carry out a high-quality installation, you need a wrench for detachable joints and plastic pipes, a wrench of the right size. For mounting large volume equipment, you need special brackets. The equipment must be measured and calculated by highly qualified specialist. From the accuracy of the calculations and measurements depends on the quality of the water supply system. Years of experience using membrane tanks for water supply has shown that horizontal models are the best option. If you have a submersible pump connected, purchase and install vertical hydraulic accumulators. The tank must be installed in an accessible maintenance location. 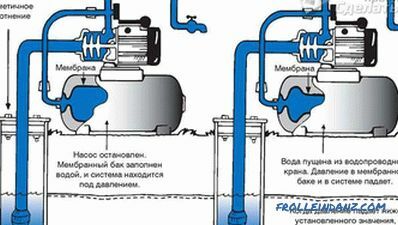 During installation, it is necessary to provide for the possibility of dismantling the pipes of the system if necessary. The diameters of the pipeline and the connecting pipe must be the same. 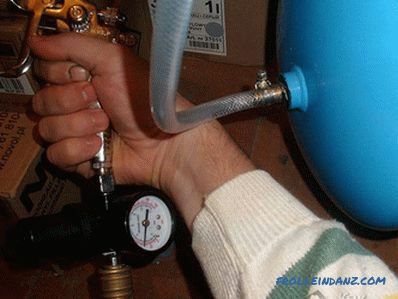 Be sure to install a pressure gauge to monitor the pressure in the system. It is also necessary to calculate and install valves. Elements that affect the hydraulic resistance cannot be connected between the pump and the hydroaccumulator. Install the membrane tank only at positive temperatures. For ease of pressure control, the air valve is installed in an accessible area. 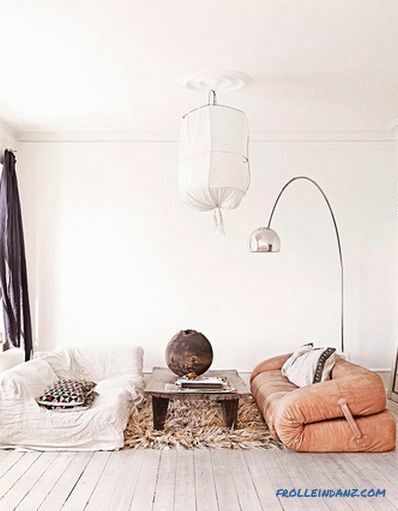 The same rule applies to the connection of the drain valve, the abutment and both types of fittings. To avoid undesirable load on the unit, it is worthwhile to mount the pressure reducer after connecting the measuring meter. Mount the safety valve in front of the flow pipe. Two shut-off valves installed in the system on both sides of the tank will help to avoid unforeseen situations. Install a drain valve in front of the accumulator. 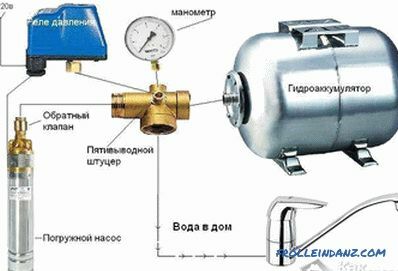 Pumping air, select the desired pressure, indicated by a pressure gauge. Balance the pressure and give the membrane a floating state. Setup complete. Now the water supply system with the membrane tank installed is ready for operation. If you purchased a tank with a removable membrane, after a while it can be replaced. To install a new membrane, first unscrew the bolts on the flange joint, and then remove the flange and the outdated membrane. Install a new one and re-tighten everything again. Do not use seals that are not intended for such work. 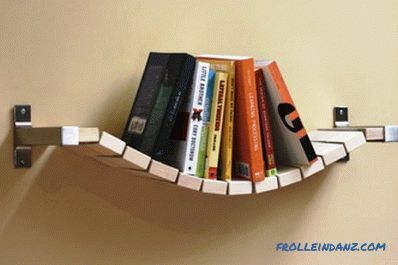 They very often lead to water leakage. The location of the tank must be selected correctly. Mismatch of tank volume with water supply system. The membrane tank must not be opened or drilled using force. If you took into account all our recommendations and installed the membrane tank in the water supply system at home, uninterrupted supply of water to the house is ensured for a long time.